The nose is an intricate facial structure that plays a vital role in the overall aesthetics and balance of the face. Rhinoplasty, or nose surgery, is designed to improve the appearance of the nose while preserving or restoring the function of the nose (breathing). Rhinoplasty offers a variety of corrective solutions, including the ability to improve a nose that is misshapen, overly large, or crooked. Rhinoplasty can also alter the profile or silhouette of a nose by addressing nasal humps or indentions as well as redefining the nasal tip and nostrils. If you are considering rhinoplasty, the first step is a consultation with an experienced rhinoplasty surgeon. 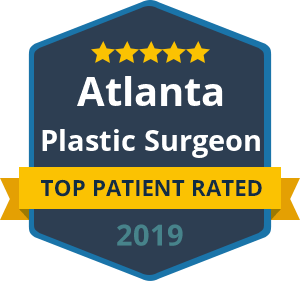 Remember that successful plastic surgery on the nose requires a very skilled surgeon who displays delicate artistry and has a keen understanding of the functional and cosmetic components of the nose. While a nose job can greatly improve your facial appearance, it should never be at the cost of your ability to breathe or smell! To prepare for your consultation, be ready to answer the following questions. These will help guide your surgeon into developing a surgical treatment plan that will meet your goals. Am I looking for an improvement in one specific area or a more general/overall effect? Is there a “nose” I would like to resemble, a certain actress, actor or model? (If so, bring a picture). What are the details of what bothers me most about my nose? How long have I felt this way? Do I have any breathing obstructions that need to be addressed? Is my rhinoplasty for cosmetic reasons only, or to repair a past injury or primary rhinoplasty? Disclosing the answers to these questions will provide a great start to your rhinoplasty plan. Depending on your unique needs, rhinoplasty can be performed with an open or closed technique. This procedure involves the careful remodeling of the soft tissues, bone and cartilages inside your nose. Rhinoplasty can be performed on men and women as well as teens once they meet a certain age. If you live in the Beverly Hills area and are looking for a leading rhinoplasty surgeon, turn to Dr. Ben Talei. He holds exceptional qualifications and proven experience when it comes to reshaping the nose and helping patients achieve a more balanced and attractive appearance.